As my first review featured the basic push cylinder mower, I am following up with the ultimate lazy gardeners mower, a robot. This is a review of the Flymo Lithium-Ion Robotic Lawnmower 1200 R.
All the standard mowers require some effort, and time, to cut the lawn. With the robot though, after the set up is complete, you can just sit back, or do whatever you need to do, while the robot does the work for you. There are many different models on the market, so I am starting with one of the cheaper versions from the well known Flymo brand. 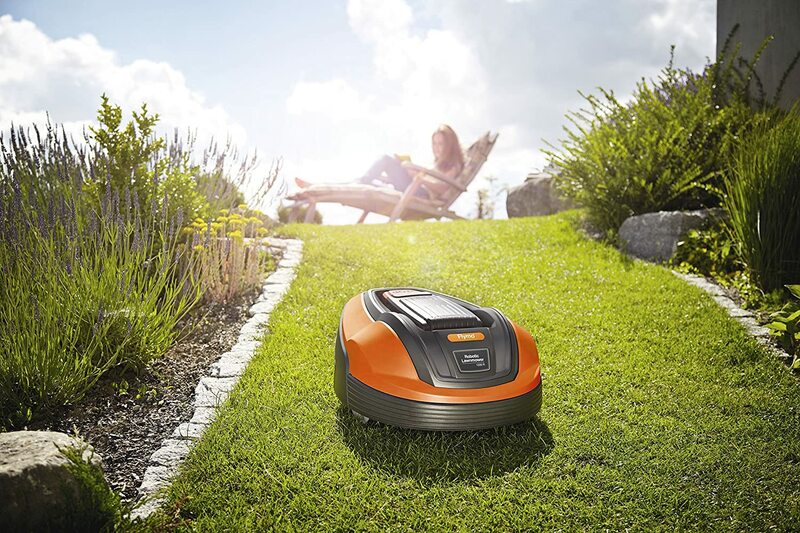 This robotic mower is a very competitively priced model at around £600, and does exactly what it says on the tin. It only weighs 16.5 kilos, so is easy to move by hand if required. 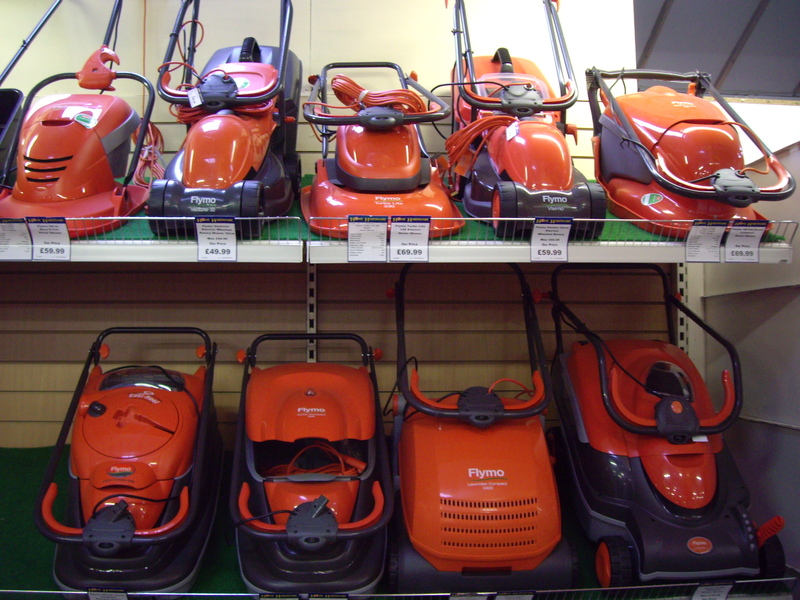 Find flymo mowers here. The power source is an 18 v 1.6 Ah Lithium-ion Battery, with a claimed maximum cutting area of 400 square meters per charge, but the automatic return to the charging station when the battery runs low makes this fairly irrelevant. The cutting speed is very slow at 30 square meters per hour, so worth taking into consideration if the lawn is fairly large. It has an irregular mowing pattern, meaning it cuts in random directions, and can be set to cut as often as you wish. It also has a soft movable top shell which minimises damage if bumping into objects, or the owner. As with all robotic mowers, a boundary guidance system is required to control the mower. This can take a few hours to set up, and in this case would not be easy for someone not technically minded as some of the connections are quite fiddly. For anyone who wants a decent looking lawn, without the effort usually required by manual mowing, this is a good quality robotic mower, at a very good price. Although not having the extra features of some other robotic mowers it is well worth consideration. Find it here. PreviousLawn Fertilizers, the best for Spring and Summer.